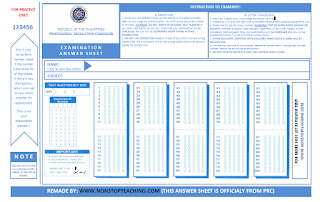 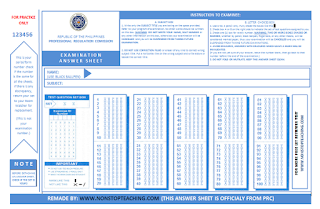 PRC Sample Answer Sheet for LET (Licensure Examination for Teachers) has now a NEW clearer and printable version. 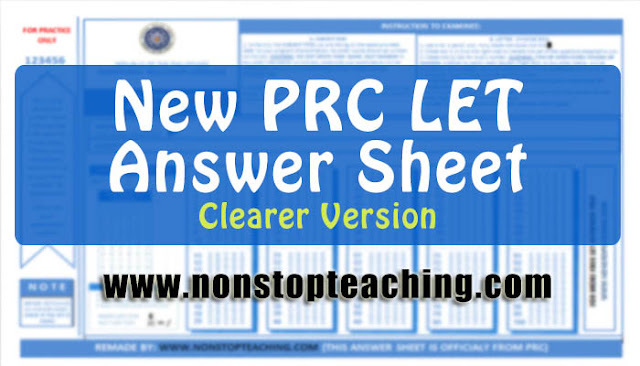 This Latest LET Answer Sheet is Free, Downloadable, and Printable. 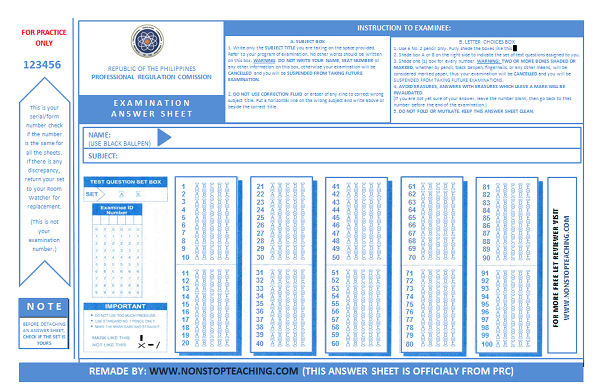 Brought to you by www.nonstopteaching.com. 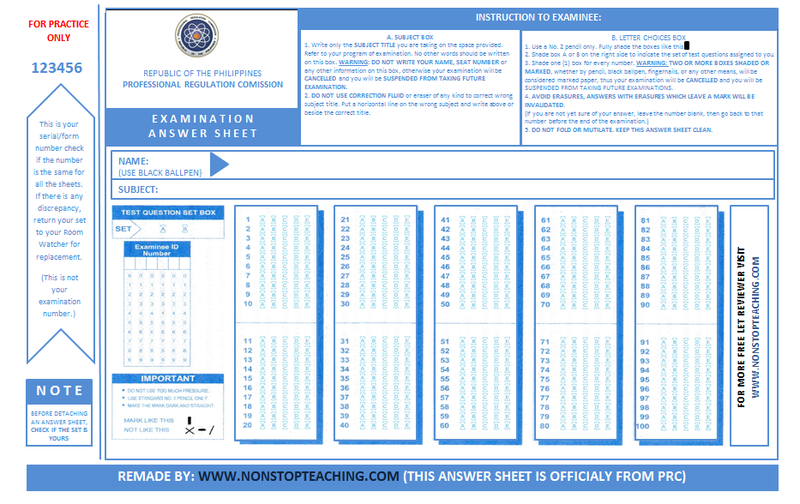 Feel free to download the file.